Smoke and Pickles Catering Co.
We bring you a wood fire to roast, grill, bbq or smoke a feast. We offer over 30 kinds of tangy, fresh pickles, relishes and salsas for contrast. We track down all the freshest ingredients from local farms and fishing boats. 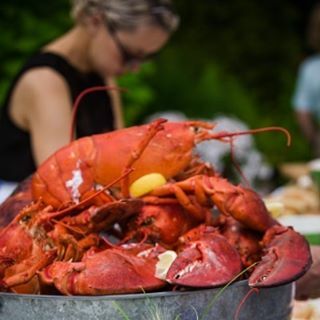 We compose a menu tailored to your occasion, often shaped by regional flavors from Coastal New England, the South, Latin America, and the Middle East. Serving Massachusetts, Rhode Island and parts of Connecticut. A collaboration between chef Marc DeRego, Kristen Rogers, and Sally Huntington. Growing up in a landmark New England restaurant, Marc learned to cook before most kids learned to tie their shoes. His life has revolved around food ever since. He foraged, fished and cooked his way across the Pacific Northwest in his twenties – shaping his philosophy for fresh, local, and sustainable ingredients. After returning to New England, Marc spent years growing and cooking the best produce and products available on the South Coast. He worked at the Back Eddy under Chris Schlesinger, and later under his brother Aaron DeRego, while learning the art of pickling from Dan George. Marc has also been a representative to Slow Food's Terra Madre Food & Farming Conference in Torino, Italy, studied meat and cheese with Persimmon Provisions Butchery, and even toured Puerto Rico's Pork Highway. All in all, it's been what Marc calls "a life well fed." Kristen gives the phrase "farm-to-table" a whole new meaning. From growing hydroponic vegetables in local greenhouses to studying the intricacies of grapes at Westport Rivers Vineyard & Winery, Kristen has developed an encyclopedic knowledge for all things food. Working for Chris Schlesinger at the Back Eddy introduced Kristen to the importance of fresh, local and seasonal ingredients, and taught her how to build relationships with the best farmers and fishermen in the South Coast food community. Now that her main focus is S&P, she can take pleasure in seeing the full extent of her food know-how. From choosing and sourcing the produce to cooking and serving the final product, Kristen's greatest reward is witnessing the delighted reactions as people share her love for great food. Sally's lifelong career in food got its start at her uncle's Irish Restaurant, where she worked her way through college waiting tables, tending bar. After years working for restaurants & catering companies across New England, Sally learned a thing or two about planning a good party. She saw how the smallest detail can make or break an event, and how important it is bring people together around good food and great company. Driven by a philosophy to create atmospheres that revere the food itself and honor where it comes from, Sally decided to start Smoke & Pickles as a founding partner. Nowadays, it's her job to coordinate everything from the timeline and site plan, to rentals, tents, and of course – the food! 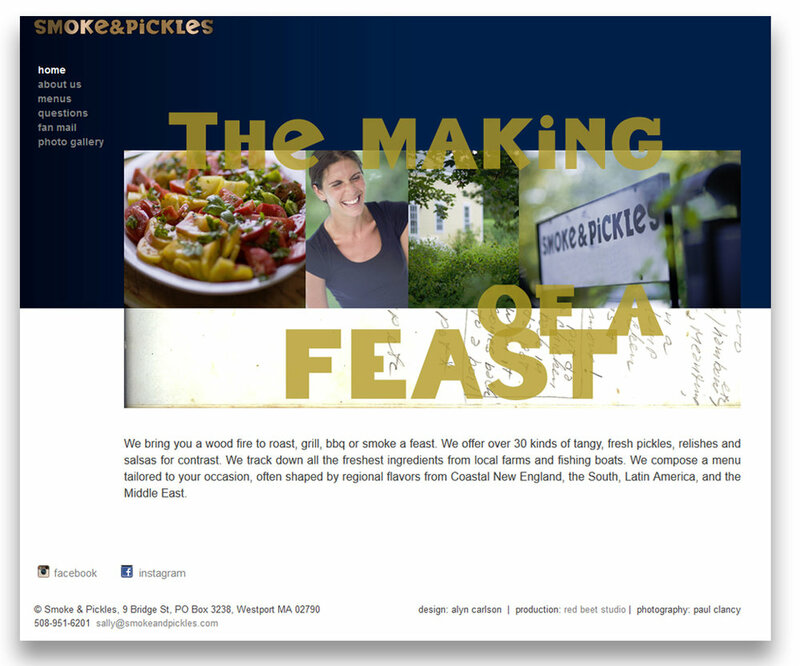 Smoke and Pickles is located in Westport Ma. and serves Massachusetts, Rhode Island and parts of Connecticut. Feel free to explore some menu samples from our menu page. They are somewhat flexible and meant to begin our conversation. Tell us what makes your mouth water and we will rough draft a menu and ballpark price for discussion. From day one, our experience with Smoke & Pickles, and more specifically, with Sally, was nothing but wonderful. 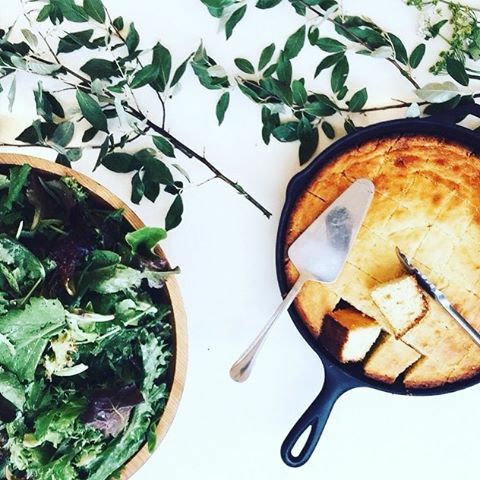 In search of “not your typical wedding fare,” my husband initially suggested we check them out, and after comparing their offerings to several other farm-to-table catering companies in the area, they were the frontrunner by far. As others have commented as well, Sally truly embraces her role and became such an invaluable member of our wedding planning team – we could not have done it without her. The food was fantastic, and many of our guests are still raving about it four months later. Thank you all for bringing such delicacy to our special day! Hands-down, THE BEST decision I made while planning my wedding was booking Smoke & Pickles as my caterer. People are STILL talking about how good the food was, and many people declared it the best wedding food they have ever had! Sally was very responsive from the first contact, and it helped a lot that she knew the venue well (Camp Kiwanee in Hanson MA). I'm vegetarian and my husband wanted BBQ, so Sally and the chef put together a menu that we both loved. The day of the event, I was blown away by the efficiency and professionalism of the S&P staff. The big smoker/grill parked next to the hall was a great first impression for our guests! I want to talk about Courtney for a minute. Courtney was the day-of coordinator and she saved me from losing my mind. She helped with EVERYTHING! She came to the rehearsal, she was at the venue early with me, she set up my centerpieces, she brought me cheese & pickles while we took photos, she worked with the MC to organize the buffet line, she kept me (kind of) on track with time, and made sure we had all our leftovers and centerpieces boxed up at the end of the night. You are amazing, Courtney!! I cannot adequately explain how wonderful Sally and the staff at Smoke & Pickles were in the planning and execution my wedding day. From the first conversation with Sally to walking out of my venue at the end of the night, we were always on the same page. Sally truly goes above and beyond to ensure that you were going to have the best day of your life. Although we had some raw weather on my wedding day, you would never have known. Sally made sure that regardless of any hiccup everyone was comfortable, fed, and happy. Every member of her staff was friendly, outgoing, and had a down to earth, warm demeanor. The food was incredible! The presentation was even better. I still have people talking about it. When I first booked Sally, I could not understand how there was not one review that was less than five stars. After my experience with this company it is crystal clear. They are the best! If I could give them 10 stars I would. Smoke & Pickles was one of the biggest factors that made our wedding day so special and memorable. As a couple that cares a lot about food sourcing and food quality, we were so grateful to be able to have the Smoke & Pickles team cater our wedding. It's hard to find the words to describe how incredible the food was, everything was crafted and cooked to perfection. The attention to detail and care that went into truly the best meal of my life did not go unnoticed by any of our guests (or vendors). Even now, 7 months after our wedding, we still have friends and family talking about how incredible the food was. That was just the food! Leading up to our wedding Sally was an incredible help, providing honest feedback and insight into the planning process. The days leading up to the event Arlan and Sally were supportive and available every step of the way with rentals, vendors, etc. Even though we had a really small wedding (75), I felt that they cared just as much and we were just as important as a 200+ person wedding. Trust this team and let them do what they do best, you will not be disappointed and you will an incredibly unique and memorable food experience. The team at Smoke & Pickles totally blew away my expectations, don't think twice and book with them! Our wedding was made perfect by Sally and her team. Sally was a delight to work with, knew exactly the vibe we were going for and I trusted her wholeheartedly in every decision. Oh, and the food. 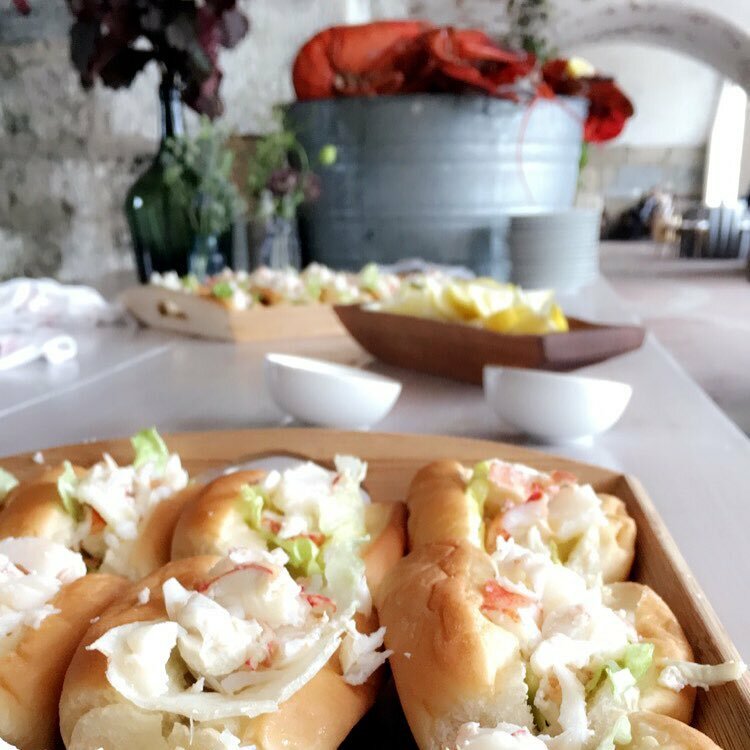 People are still talking about it ( "those lobster rolls! "That beef!" "Those FISH!") The menu was simple, fresh, and spectacular. And the service was impeccable. The staff was friendly and everything had a custom feel (they collected guests empty glasses in baskets for instance). If you're considering using S and P for an event, in my mind, the decision is made. In Sally we not only met a caterer but we made a friend. Sally and Smoke & Pickles were a delight to work with in catering our wedding. We met with many caterers in the area, but as soon as we met Sally we knew she understood our vision of a locally-sourced, vegetarian friendly wedding. Sally also helped to connect us to the vendor we ultimately used for our wedding rentals. After the wedding, everyone raved about our food and said that it was some of the best food they'd ever had at a wedding. From KarenWe put our trust in the hands of Smoke and Pickles and they exceeded all of our expectations, they are far too modest and blew us and our guests away with the class of food and professionalism. We could not have pulled off the wedding with out Sally and Arlyn's direction. We had an issue with the tables we rented and Sally pulled a last minute favor getting new tables from another company. Their prior experience with our wedding venue, Dragonline Studios, was invaluable. Arlyn even helped with the timing of each bridesmaid walking down the "aisle", they set our tables and flowers, everything ran so smoothly with them on our team. I've read other reviews and can join in saying multiple guests told us this was the best food they've ever had at a wedding and I have to agree (pat myself on the back for choosing S&P). From the cheese and pickles to whole roasted sea bass, every item that was served was delicious and presented beautifully. The smoked bluefish! Everyone had a different favorite from the cheese and pickles table, there was so much variety. We cannot rave or thank them enough. My wife and I were very fortunate to have Smoke and Pickles cater our wedding day and to have the co-owner and wedding coordinator Sally make sure the big day went smoothly. Let's start with Sally - she was great to work with, professional, flexible, communicative, and... most importantly she saved our wedding day from being ruined by one of our vendors. Our tent company failed to drop off multiple items and made too many mistakes to mention, but Sally used her contacts with other tent vendors to make sure we had everything we needed. Crisis averted! Sally did all of this with a sense of ease and grace, at no point were we overly stressed. She held down the fort amazingly while we enjoyed the day. Now for the food and catering... Wow! Seriously amazing food. Smoke and Pickles make their dishes from fresh and locally sourced produce, cheese, and fish/meat. We had multiple guests comment on how it was the best food they have ever had at a wedding. A few examples - we had a cheese and taco bar for the cocktail hour, striped bass for dinner, in season vegetables, and possibly the best strawberry shortcake I've ever had. If Smoke and Pickles had a restaurant, we'd be there! If you're on the fence about using them for your wedding, get off the fence and give Sally a call! Smoke and Pickles is absolutely fantastic. 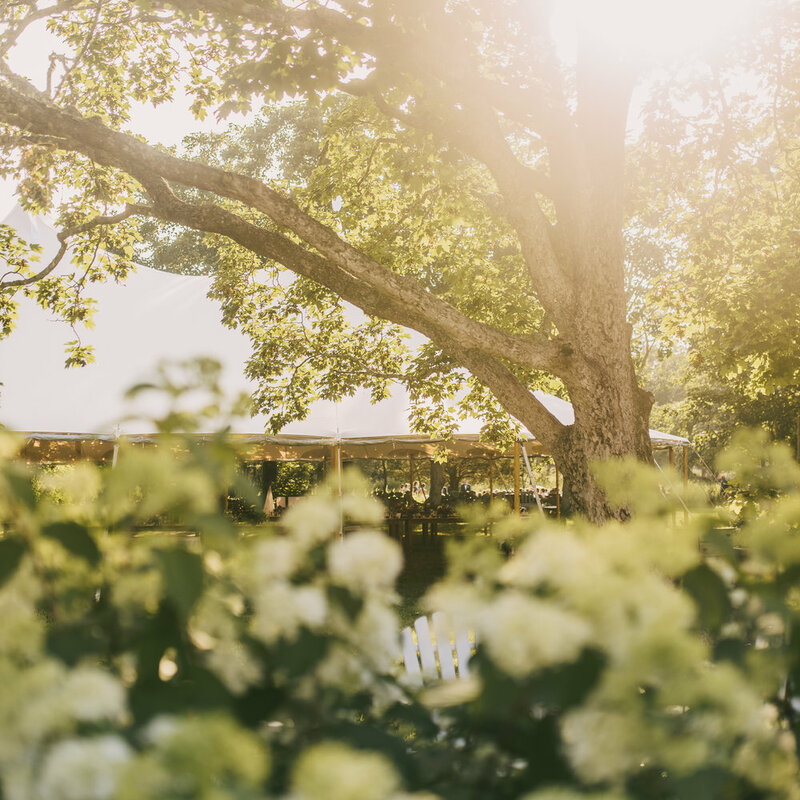 Picture it: A wedding hosted on a small farm on The Cape. We have 170 guests from 4 different countries who are celebrating a gorgeous wedding day in the middle of A FIELD. Most caterers would run away from the challenge of preparing refined wedding cuisine in such rustic conditions, but not Smoke and Pickles! Sally and her crew prepared one of the most beautiful and delicious meals I've had the pleasure of enjoying in 7 years of wedding planning. They run a tight ship with regard to quality of service, excellence in staffing and professionalism in execution. The food looked as good as it tasted and the guests were blown away by the refined-casual cuisine (the suckling pig was really what put the meal over-the-top!) Thank you to Sally and the S+P Crew for making this wedding absolutely perfect! I sincerely look forward to working with you again very soon! We loved it too. Please just click on the image above to visit it. Enjoy! COME JOIN OUR TEAM THIS SEASON!